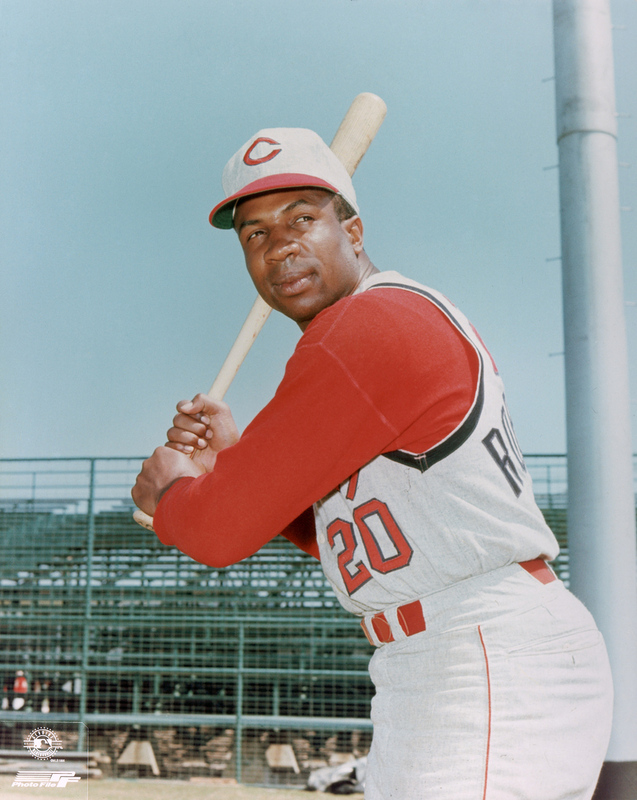 Frank Robinson, one of baseball’s great players, died Thursday (Feb. 7) and his death brought back some memories for me. I had heard through the grape vine that he was seriously ill, but it really didn’t sink in because Frank was one of the tough guys, a guy I thought had a chance to live forever. My first recollection of him was when he was still playing a future Hall of Fame career. I believe he was still with the Cincinnati Reds and was arrested one night in St. Louis for carrying a gun. I don’t know why he would want a gun because the guy was feared enough for just being Frank. I ran into Frank while he was managing Cleveland in 1977, which would have been the first season of the expansion Seattle Mariners. I got to the Kingdome early (the Mariners started out playing there until moving to newly built Safeco Field in 1999) because I wanted to do a story on Frank, who was the first black manager in the Major Leagues. So I go into the visitor’s clubhouse and its several hours before the game is to start. Players are milling around and some are playing cards. I finally see Frank pacing the floor and go up to him and ask if I could talk to him. I didn’t expect Frank’s response. He said, “I don’t talk until the group (of reporters) gets here.” He brushed me off with that, and I figured my day is done. But I hung around the clubhouse for another 20 minutes, figuring I might be able to talk to Frank when the others arrived. About now, I was also tired of Frank, who seemed sullen and a bit uppity. He was probably thinking what is this stupid reporter doing? Why doesn’t he give it up and leave? But suddenly, Frank turned nice and suggested we go into the visitor’s manager’s office (actually it was more like a cubby hole and his coaches were also crammed into it). He sat down at his desk, and turned to face me. I was sitting on a stool and for 45 minutes we talked. He couldn’t have been nicer. Then, when I got up to leave, Frank moved in on me, grabbed me by the collar and lifted me off the floor and said, “You SOB, you better not tell any lies about me.” Then he released me. I don’t remember what I wrote about him. I suspect I zeroed in on the black-white issues, which is the same tact I used when I interviewed Larry Doby, when he was the manager of the Chicago White Sox. Doby was the first black to play In the American League when he signed in 1947 to play for the Cleveland Indians. Jackie Robinson, of course, was the first black to break the color barrier with the Dodgers, three months before Doby joined the Indians. Years later, probably just before the Mariners left the Kingdome for Safeco Field, I saw Robinson. I’m not sure what his specific function then was, although I knew he was working for the Major Leagues. He sat in the press box in the second level right behind me in the front row. I walked by him several times, but he didn’t recognize me and I didn’t stop to say hi to him. He looked his age by then. Robinson had been ill for some time and died at his home in California. He was a 14-time All Star and the first person to win MVP in both leagues. He was voted into the Baseball Hall of Fame in his first year of eligibility, 1982, with 89.2 percent of the vote. Rest in peace big Frank.